I have decided to try out the various alternatives to M$ Office that are out there. 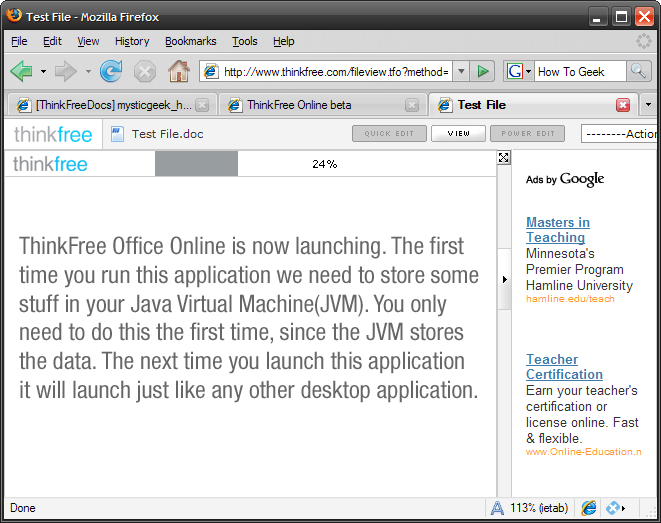 Although I do think M$ Office 2007 is quite an improvement to 2003, it is always cool and geeky to check out everything. Today I am going to cover ThinkFree Online which claims to be “The Best Online Office On Earth”. Well … let’s see. Here I am just going to go through creating a new “Word” document. After creating your free account you will have a dashboard type start screen where you choose what type of document you want to create. You can choose from Word, Excel, and PowerPoint clones. 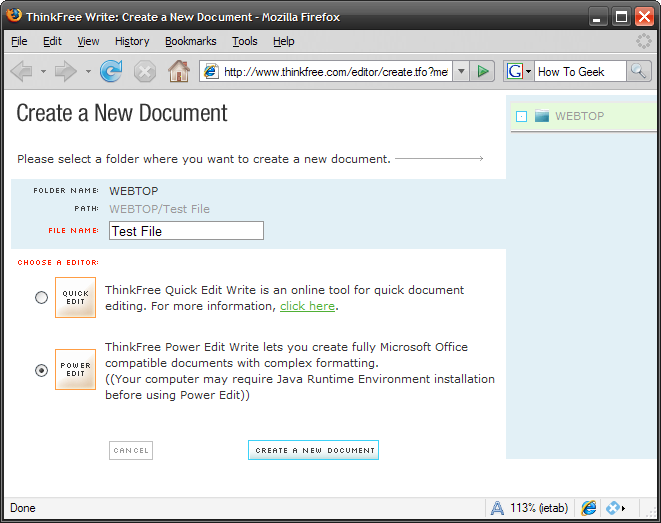 Here I choose the Power Edit option so the document is compatible with M$ Office. 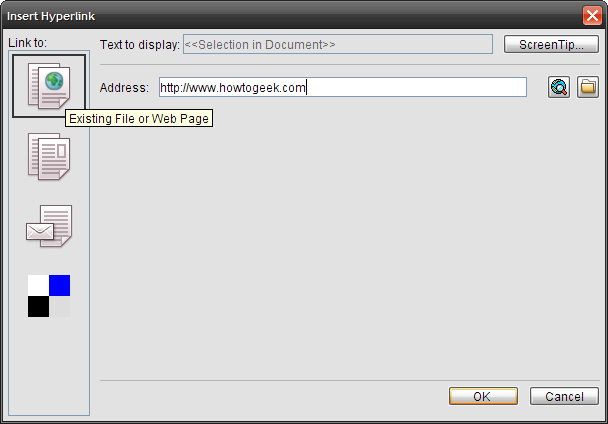 Type in the File Name then click on Create A New Document. Interesting … waiting for Java to load grrrrr…. also … of course there would be ads by Google. I am just trying to create a quick test document! Hyperlinks are not automatically created … in fact it appears that ThinkFree thinks it is a misspelling. So, I click on the hyperlink icon and fill out the required link. Not very streamlined and quite bulky. Apparently inserting an image into a document can take up to 30 seconds to connect to your local folders. 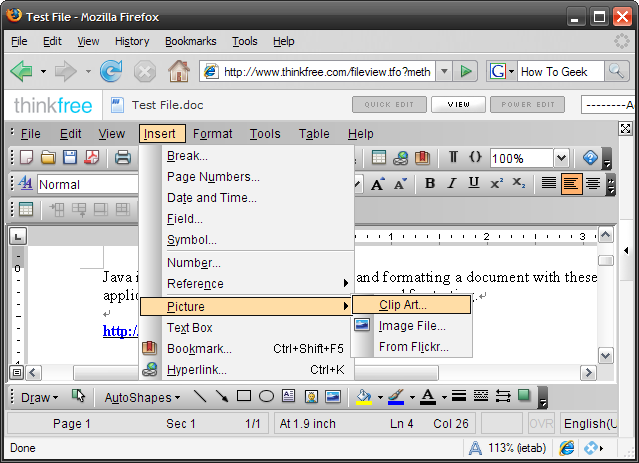 From what I can tell there are the basic editing features included with most document editors. At this point the site froze up on me. So I am giving up on this one. Clunky and slow Java application … I don’t see much use for this Office alternative unless you are really in a pinch and cannot access Google Docs for some reason. Probably be best to carry OpenOffice portable on your flash drive with Portable Apps.